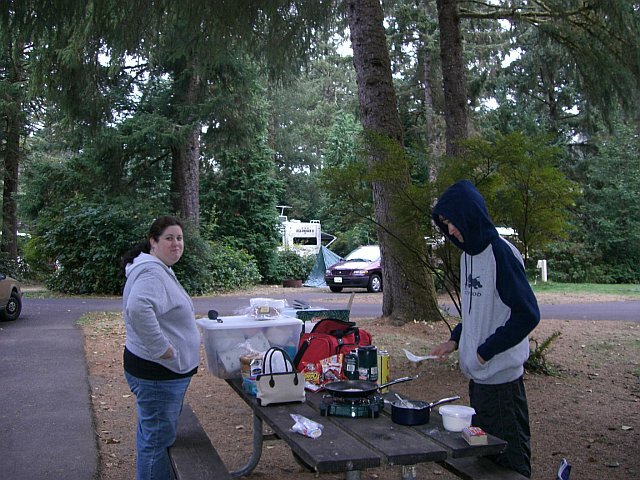 When I decided it was time to lose the weight I made the time. 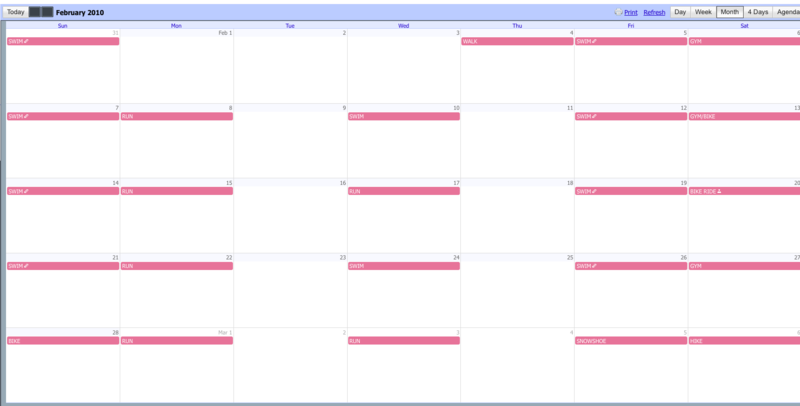 One of the tools that has helped me is Google Calender. I have a workout schedule on my Google Calenders and each week I plan out my activities. There are certain things I don’t change: my swim days are usually Fridays and Sundays. All the other days can be switched around depending on my mood or what I’m training for. How do I fit in exercise? I do the bulk of my workouts on the weekends because I have the time. Saturdays are perfect for long bike rides, intense gym sessions or fun hikes. On the weekends I get my workout done in the morning so I have the rest of the day to run errands, see friends, watch TV, hang out with Michael, do house chores, etc. My weekday workouts are a little different. Now that I commute to work by bike it helps a LOT. Commuting to work on bike frees up my evenings. 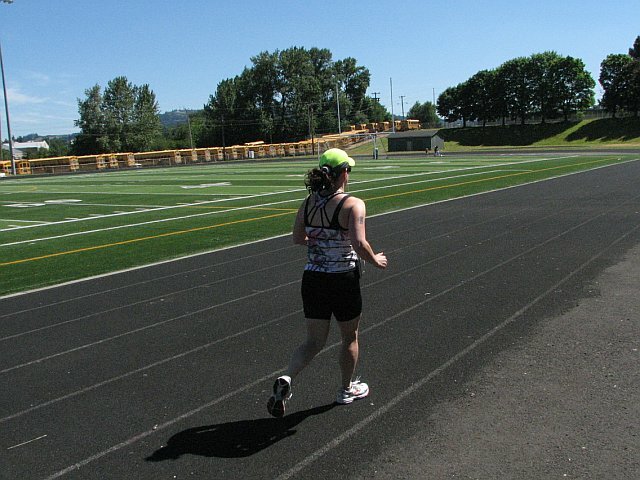 Back when I was training for the Hood to Coast Relay I was running during my lunch break. I loved doing that. I got my workout done in the middle of the day, had evenings free to do whatever I wanted and I got out of the office. I take two rest days a week and almost always schedule them for a week day. Taking a Monday or Thursday off is a nice mental break and it’s two less days I have to hurry to the gym right after work. Another suggestion I have is to go straight to the gym after work. If you aren’t a morning person (like me) after work is the only option but going home first means I’m less likely to go back out once I’m home. If you somehow can’t find time to go to the gym, try working out at home. I suggest getting the Nike Training Club App. It’s free and has hundreds of workouts you can do in your living room. 1. Lunges. You can do walking lunges if you have space, or just alternate legs and stay in the same spot. You can totally do this in your living room while watching TV! 3. Jump squats. 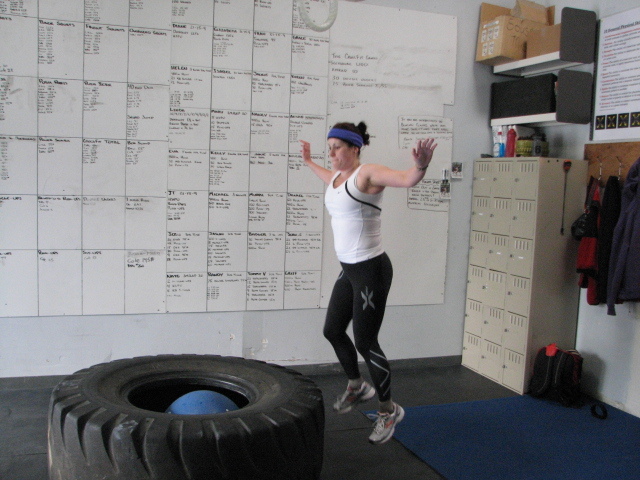 Same as above, but explode into a jump as high as you can from the squat position. Obviously not the best option if you have knee issues. 5. Stairs. If you have stairs in your house that’s a free workout! Just run up and down the stairs. You’d be amazed at how hard it is. I’m lucky to live next to a track. I can run around the track and then incorporate running stairs too. 6. Burpees. These will kill you. They are so hard! But such a good workout for breaking a sweat. If you can do 3 sets of 10 you’re a rockstar. You don’t have to be a gym rat, either, to get fit. All of the above suggestions are things you can do at home for FREE. Still not convinced that you have time to get fit? What about taking Michael’s suggestion of getting a bike trainer? It’s an excellent way to getting fit without buying a gym membership. If you’ve discovered a way to simplify your life and fit exercise into your busy life, what tips can you share? QUESTION: What excuses do you make to avoid getting healthy? How can you change it?